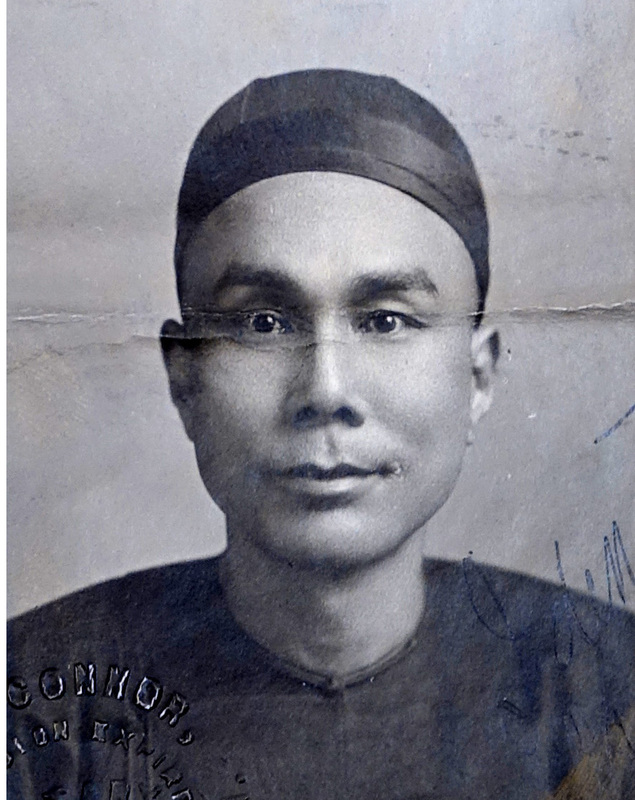 “Photo of Yee Gim,” 1905, Chinese Exclusion Act case files, RG 85, National Archives-Seattle, Yee Gim (Ah Tai) case file, Seattle, Box RS027, RS 939. In 1905 Yee Gim, age 46, was a merchant, a partner at Yee Yuen Hong Kee Company, at 516 Front Street, Spokane, Washington. He had been in the United States for twenty-seven years—19 years in Port Townsend at King Tai Company and eight years in Spokane. He was returning via Port Townsend from his third trip to China. His wife, three sons and three daughters were in China. There were seven partners in his Spokane firm. They sold Chinese goods, nut oil, rice, sugar, and tobacco. Hock Geng was the manager; Yee Gim was the bookkeeper and in charge of buying and selling goods. The interviewer asked to see Yee Gim’s “chak chi” [Certificate of Residence or Identity]. Yee Gim did not have his papers because he was in China at the time of registering. A witness for Yee Gim was W. D. Vincent, cashier at the Old National Bank, who had known him for over eight years. He swore that Yee Gim never worked anywhere else except as a merchant and did personal and business with the bank. In spite of the fact that Yee Gim did not have his Certificate of Residence, the testimony of his witnesses was strong enough to allow him to be admitted by A. F. Richardson, Chinese Inspector at Port Townsend. “Yee Gim Affidavit” 1905, Chinese Exclusion Act case files, RG 85, National Archives-Seattle, Yee Gim (Ah Tai) case file, Seattle, Box RS027, RS 939.